Hundreds of new quick and healthy meals to save you 10, 20, 30 pounds--or more! Discover how to turn the expensive, unhealthy foods at America's restaurants into fat-blasting superfoods that cost just pennies--and taste even better. Tired of always being too hungry (and tired!) to make smart food choices? Ever wonder why the less food you try to eat, the more fat you seem to gain? Ready to start enjoying all your favorite foods and never see an ounce of weight gain? Cook This, Not That! Easy & Awesome 350-Calorie Meals is the ultimate cookbook for people who love to eat--even if they don't love to cook. 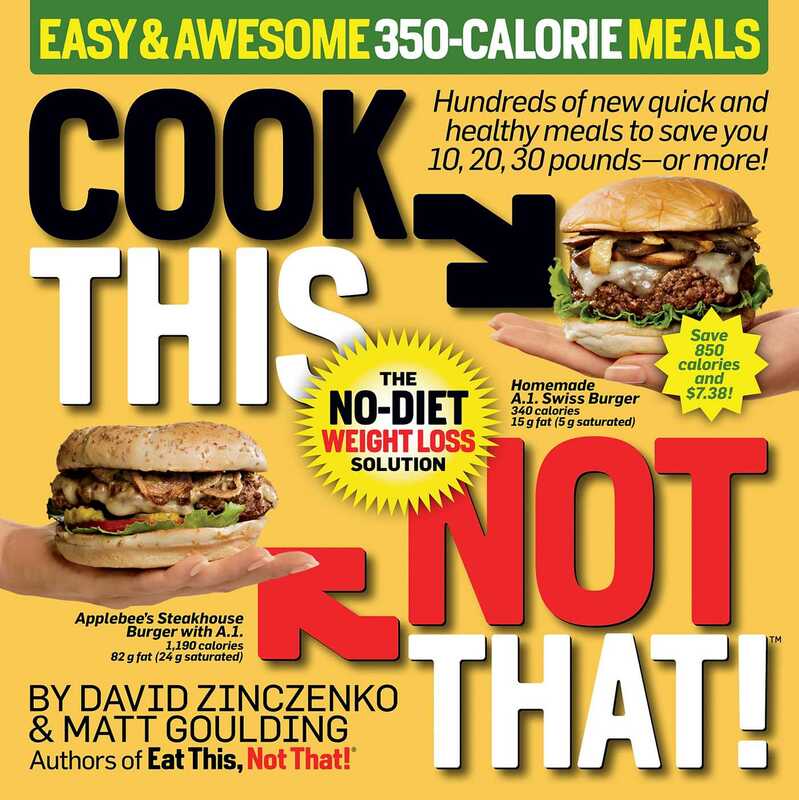 It offers readers easy, step-by-step instructions for remaking their favorite restaurant dishes into healthier, fat-blasting home-cooked meals.